EltaMD offers a line of superior sun protection formulas, designed with maximum efficacy in mind. Their broad-spectrum formulas are designed for all skin types. Specially formulated with zinc oxide, EltaMD provides long-lasting UVA and UVB protection with SPF rating from 30 to 50. EltaMD believes that proper sun protection is essential for every individual, which is why they make their products incredibly easy to use, with light, creamy, non-comedogenic, moisturizing lotions and creams. EltaMD protects, nourishes and beautifies the skin with each application, allowing it to glow with youthful vibrancy. www.Beauty-Addict.com. 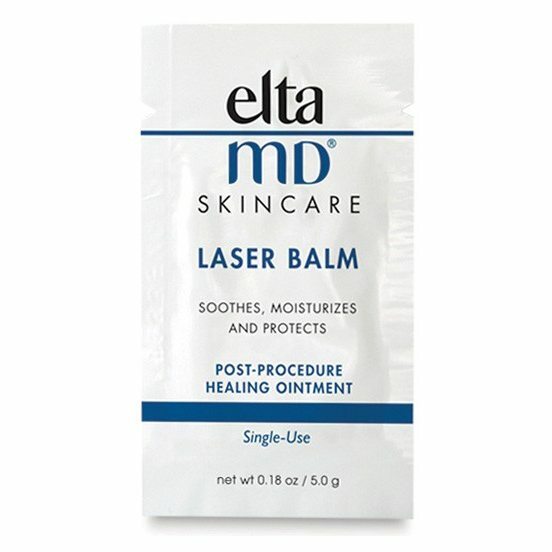 Apply EltaMD Laser Balm as needed or as directed by physician. For best results, apply liberally to moist skin.